On the Users tab, click on the Invite More People button. Click Administrators in the drop down menu. 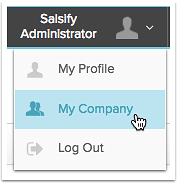 Enter the email addresses for people you would like to invite to Salsify.